Do you have social media channels in place to enhance engagement with your customers and prospects? If so, good for you! Keep in mind, though, that establishing these channels is only the first step in the process. Social media can provide an excellent way to market to both current customers and prospects, but it requires work. If you’re struggling to keep up with your social media avenues, or don’t know how to use them to their full potential, these simple tips can help. Your blog is a source of useful, actionable content that will help your users address common problems and pain points associated with your industry. One way to increase its visibility is to syndicate your blog posts to your Facebook and Twitter accounts. This will naturally drive more traffic to your website and will also keep your social media accounts active. Your users can help take care of some of your content curation for you. Merely retweet or share the content they post concerning your business. Don’t forget to add a comment such as, “Thanks for visiting us, come again soon,” to check-ins. This will help show your current customer base that you’re interested in their experiences and will also go a long way in establishing trust with new prospects. Positive reviews on Facebook can seriously enhance your online presence, but if you want customers to weigh in on their experience, you need to give them a reason to do so. Be wary of offering incentives, because the laws regarding incentives for reviews may vary depending on your state or the regulations that govern your industry. However, you could send an email offering entry into sweepstakes in exchange for a review, for example. 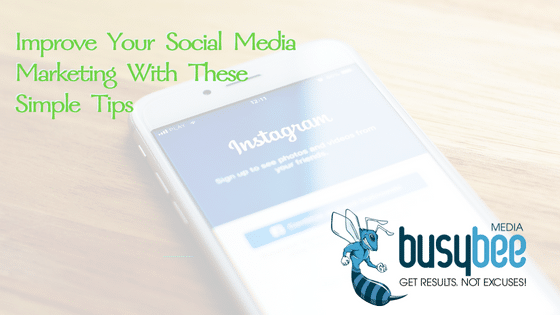 By taking a few simple steps, you can quickly enhance your social media marketing efforts and connect them to your other channels. Syndicate your blog, continually engage customers with user-generated content, and encourage reviews. These actions can help you improve your brand visibility, establish loyalty, and generate new prospects.